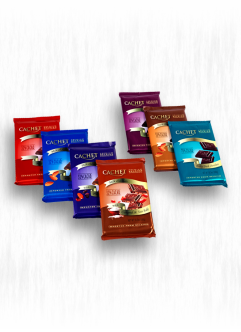 Cachet is the undisputed choice of the real chocolate expert. In supermarkets and at many confectioners, the genuine chocolate lover can discover the taste of this quality label The Cachet range keeps its reputation of creativity and quality throughout all its available shapes, be it praline, tablets or even filled bars. A Cachet for everyone. Indeed that is what the Cachet commitment stands for. 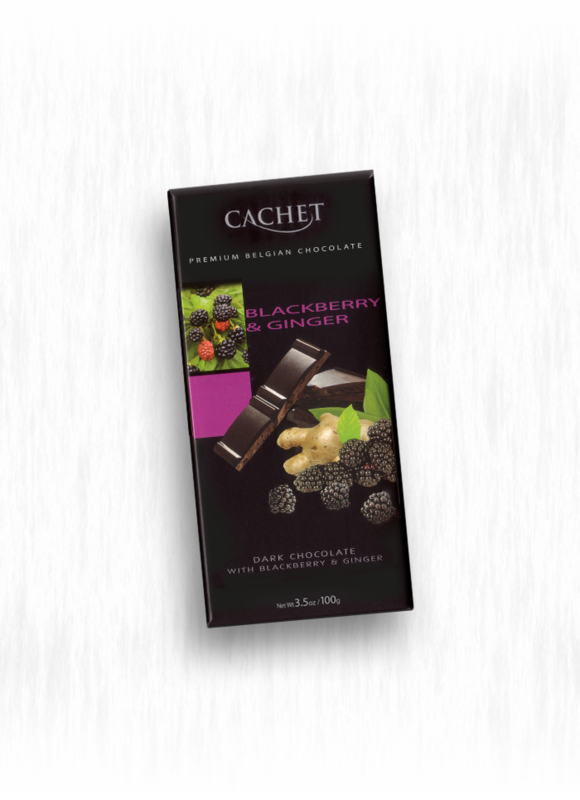 A wide range of flavors, with or without gluten, alcohol or added sugars. 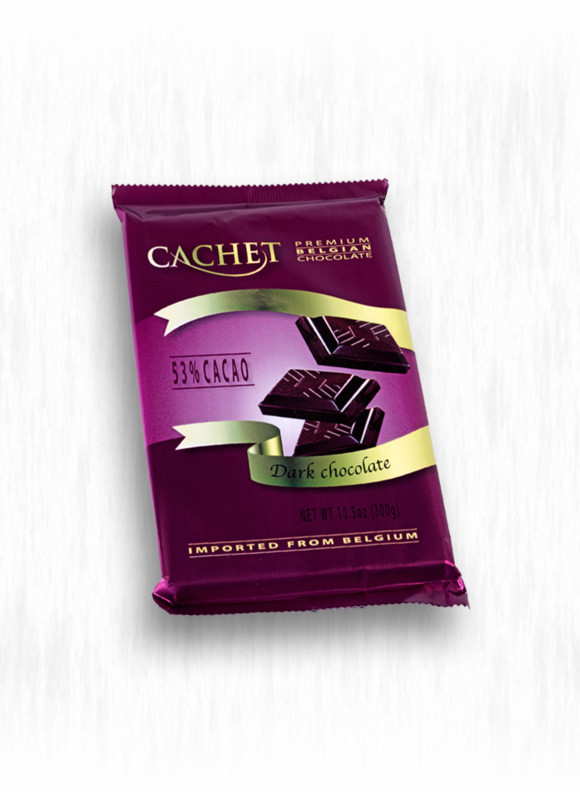 Because at Cachet, we believe that everyone is entitled to the joys of premium quality chocolate. Enter the world of real delicacy. Our caramel and Fleur de Sel milk chocolate signature bar is a luxurious indulgence. 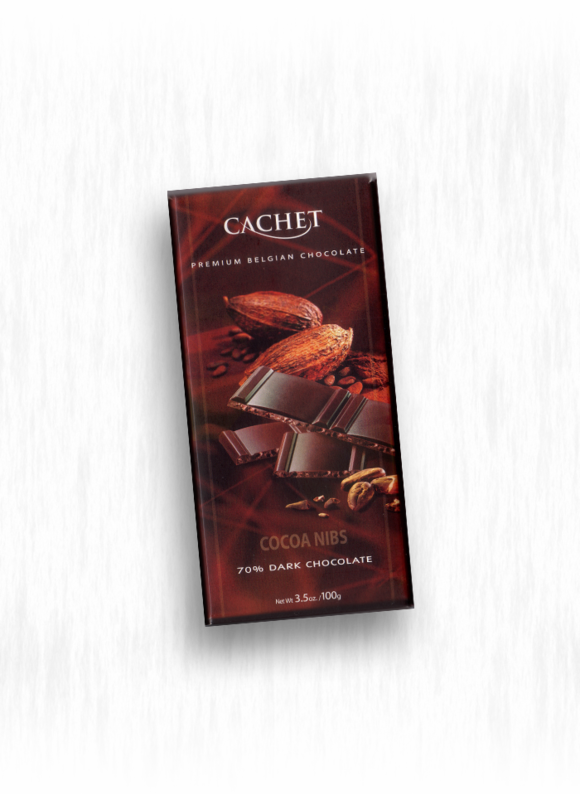 We begin with our renowned rich milk chocolate and combine it with sweet caramel that contrasts with flecks of salt dotted within 3.5 oz. bar. 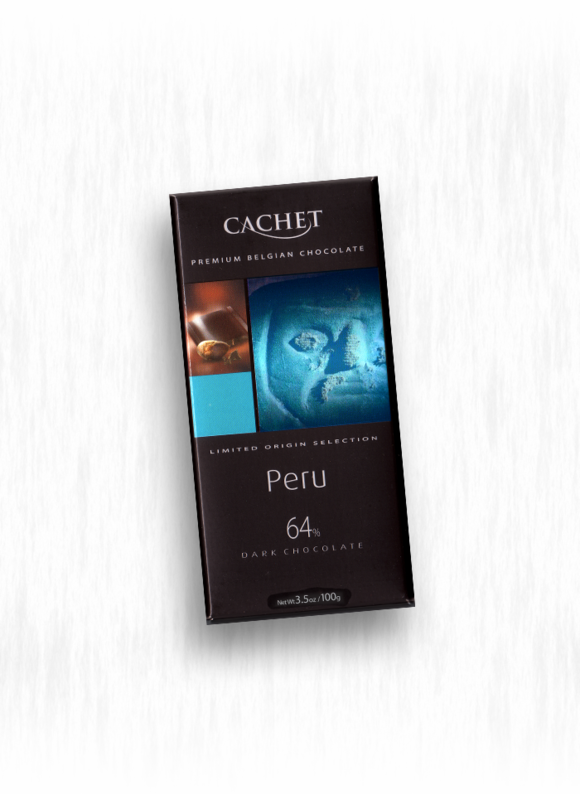 An unmistakable hint of fresh and dried fruit notes, with a slightly bitter cocoa taste, creates a surprising first impression for this Peruvian origin chocolate, with a sweeter, creamier taste than is typical of dark chocolate 3.5 oz. bar. 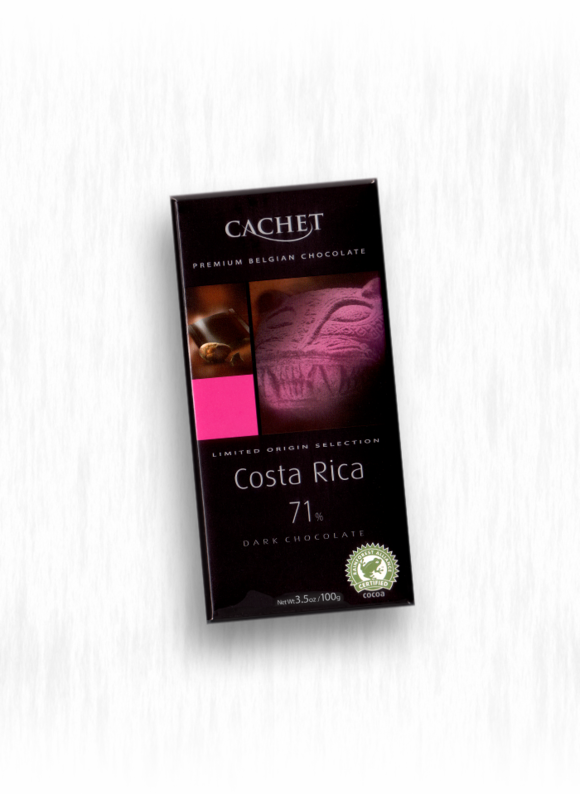 This strong dark origin chocolate is characterized by its exquisitely bitter cocoa taste. 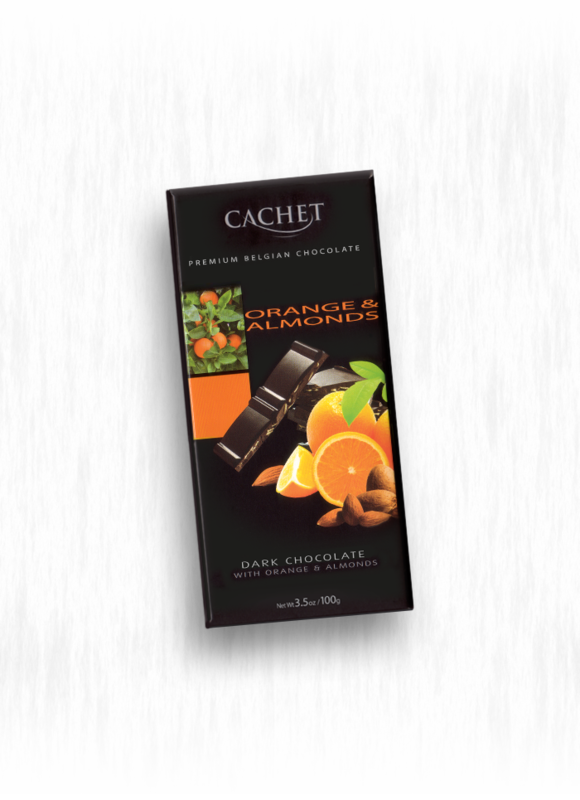 The tempting bouquet of smoke and wood and the sophisticated bitter cocoa flavor, combine to deliver a delightfully traditional smooth dark chocolate 3.5 oz. bar. 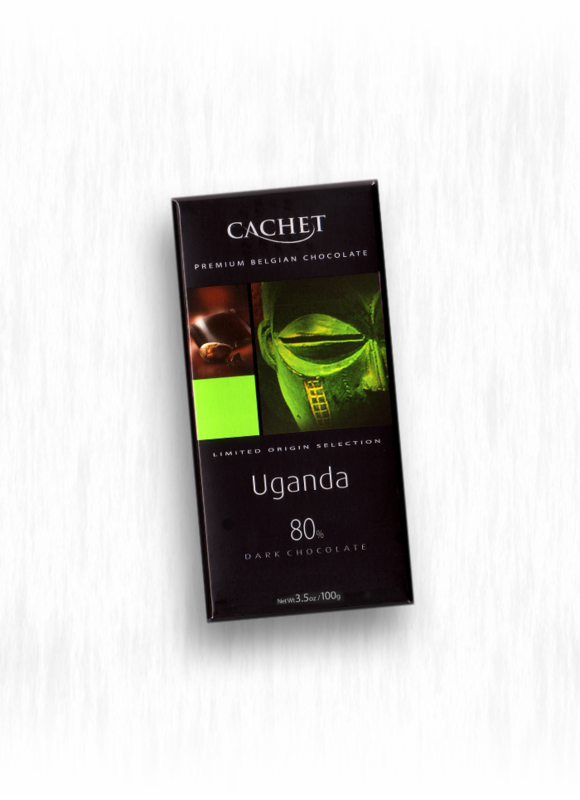 Forastero beans from Uganda are renowned for their classic cocoa flavor and low acidity. The high cocoa content of this rich, dark origin chocolate, privides a supreme cocoa taste with hints of earthiness, mushrooms and a subtle smoky flavor. Our cocoa nibs 70% dark chocolate signature bar is the epitome of quality and will be admired by chocolate connoisseurs, and the cocoa nibs add to the texture of the bar, giving it an extraordinarily rich and deep chocolate flavor 3.5 oz. bar.